3 Beds 1 / 1 / 0 Bath 1,748 Sq. ft. 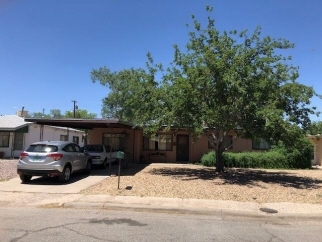 Description: This property is conveniently located near nm tech campus. Lovely home with 1,748 sq ft, 3 bedroom, 1-3/4 bath. Large family room with gas fireplace. Roof was replaced in 2005. Shop is 200 sq ft with a heated garage door. Lots of potential and a great value for your dollars!